New Hampshire home sales numbers continue strong, steady climb. Residential home sales in New Hampshire saw a year-over-year increase for the 20th consecutive month in July, outpacing July 2012 by 23 percent, while the price of those homes was up by 11 percent for the month as well. There were 1,637 residential sales in July, compared with 1,331 from a year ago, marking the most sales in a single month since August 2005. With a median price of $230,000 (compared with $207,900 in July 2012), it added up to a 37 percent increase in overall July sales volume, meaning the total dollars exchanged in those transactions. Year to date numbers in 2013 continue to be on the upswing as well. For the first seven months combined, compared to 2012, closed sales are up 12 percent, median price is ahead by 10 percent, and sales volume saw a 17 percent increase. The average days on the market for sold homes, meanwhile, dropped by 18 percent in July, from 107 days in 2012 to 88 days this year. The year to date comparison is a 13 percent decline, from an average of 118 days on the market over the first seven months of 2012 to 103 in 2013. Pending sales, a forward-looking sales indicator, increased by 23 percent in July and has risen 12 percent year to date. And months’ supply, which measures the number of months it would take to sell of the current inventory of homes at the current pace of sales, dropped from nearly 15 months in July 2012 to 11 in July 2013. Condominium sales in New Hampshire, meanwhile, trended similarly in July, ahead by 25 percent in closed sales, 14 percent in median price, and 35 percent in sales volume. Year to date, those numbers are 15 percent, 7 percent and 22 percent, respectively. Locally, nine of the 10 New Hampshire counties saw residential unit sales increases in July, with Sullivan County the only exception, and nine of 10 witnessed July median price increases as well, with only Coos seeing a decline. Visit NH Coastal Homes to see all New Hampshire and Maine listings for sale. 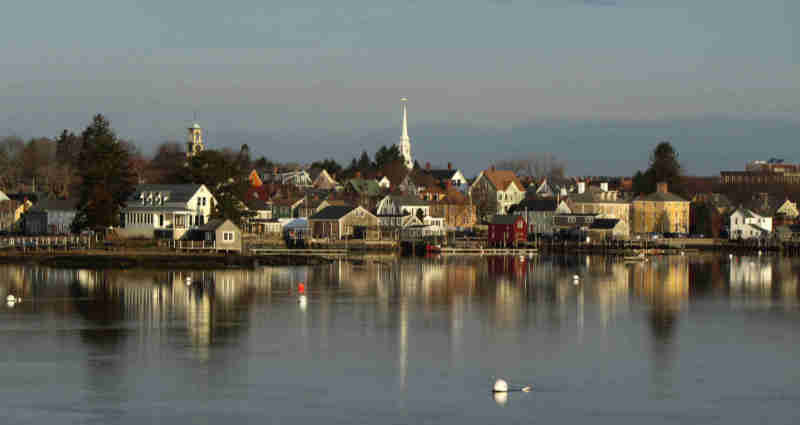 We specialize in the NH and southern Maine Seacoast areas. Questions or comments? Call or email Ann Cummings or Jim Lee, your Portsmouth, NH Seacoast, and southern Maine real estate experts. ah, the joys of a seller’s market. Boulder Colorado became a full fledged sellers market earlier this Spring. It is a shift. I hope your buyers out in NH are open to aggressive offers and making it happen. Meanwhile, good to hear 9 out of 10 counties are doing so well. I’m excited to hear we have a coast to coast housing market once more.